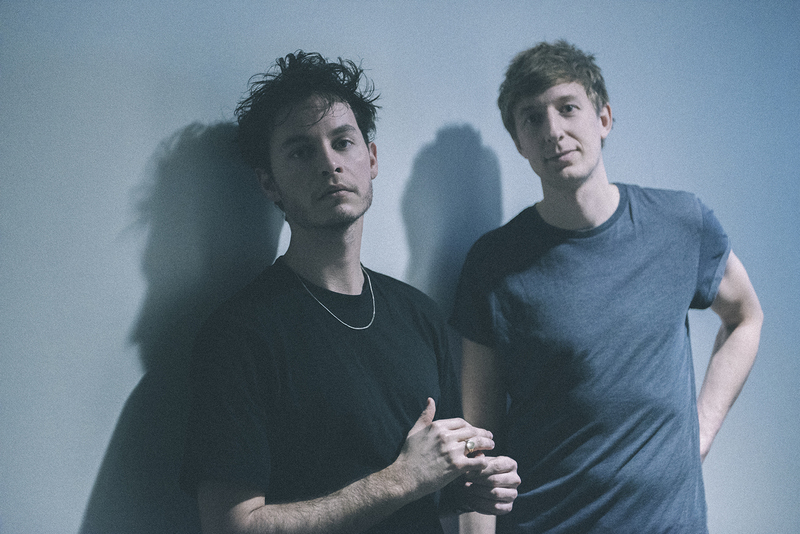 Copenhagen duo Slowes are all set to perform at the next Ja Ja Ja London show - so we invited them along for a Spotlight interview to get to know them a bit better ahead of the show! Jack Kilburn and Anders Hamann – aka Slowes – landed on the scene in 2016 with their debut single ‘I Need You’, which was soon followed by the aptly named ‘Something Special‘, and which let us to tip the band as a One To Watch in 2017! Now, with the year offering up new releases and more recording from the band, we’re very excited to have them join us at Ja Ja Ja in London to perform at our final show of the spring season! For this show, we’re teaming up with UK music magazine, website and promoters DIY who’ve hand picked three killer new Nordic bands to come and perform. 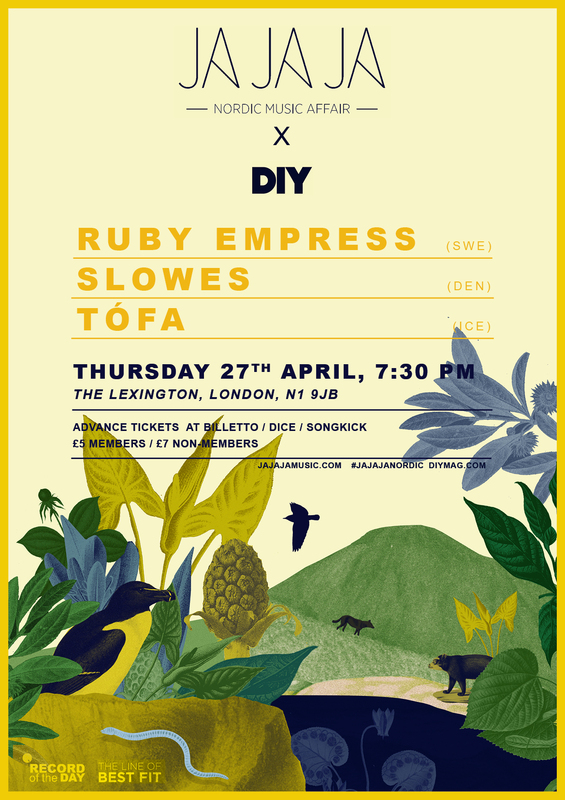 Joining Slowes are Sweden’s Ruby Empress and Icelanders Tófa – so what are you waiting for?! Grab tickets to join us at the show now! We’re a duo from Denmark called Slowes. Jack Kilburn is the lead singer and Anders Hamann is the drummer. Our music is alternative pop. We love simple pop-songs but also have an urge to try and break some rules. You’ve freshly unveiled a brand new track called ‘Anymore’ that we’re absolutely loving – so can you tell us a bit about the story behind the song? J: I had just gone through a tough break-up. I was on vacation with my family in Indonesia and I simply couldn’t enjoy it. It’s difficult to enjoy a foreign culture, swimming pools and exotic drinks when it hurts so bad. So I used my savings to buy a plane ticket back to Copenhagen (I told my family what was going on and they understood). On the ride home I listened to “Little Lies” by Fleetwood Mac on repeat. I got back home and ‘Anymore’ just flew out of me. The track is taken from your debut EP! So when can we expect that to land? And can you tell us a bit about the process of making it – was it a nice, straightforward process, or did any of the tracks throw up artistic headaches?! A: Our debut EP “Times” is out the 26th of May via Distiller records. The month that Jack came home from Indonesia was an intense period of songwriting. During that month the whole EP was actually written. Jack kept sending me demos and together we figured out what worked and didn’t work. J: That’s actually how we work together… Anders is the one guy who I trust the most when it comes to quality of music. He has this level of integrity that helps our decisions. I can get a bit too impatient sometimes and just want to release stuff (mostly when it isn’t even finished yet). Anders is the calm and strategic of the two of us. Your previous singles ‘Something Special’ and ‘I Need You’ have received some great attention – so what have been some of your highlights during your time as Slowes so far? A: We’ve played some great concerts in Denmark and had our debut in London, which was an experience. But actually, it’s mostly when people after a concert tell us that they love the music and that they want to hear more. J: That’s because 90% of our career so far has been promoting our music online and sometimes we forget that there are actual human beings sitting at their computers – listening to our music. Most of the time, all we see is ‘likes’. Meeting people who dig our music is probably the biggest highlight. Now let’s take a step back for a second – how did the two of you meet, and what was the moment that made you decide to make music together? J: Me and Anders actually met by accident. I was with some friends at a birthday party and suddenly the doorbell rang. We opened up the door and saw these random guys, who realised that they had gone to the wrong party. They seemed like good people, so we invited them inside anyway, and figuring out that these guys played music, my friends and me asked if they wanted to share a rehearsal space with us and they wanted to. One of those guys was Anders. We bonded and a few years later we started Slowes together. A: I have quite of a rock background. I’ve played in a few rock bands from early high school and I remember Jack and me bonding over bands like Black Sabbath and Oasis. As I have grown I have really developed a soft spot for classic 70’s and 80’s pop songs, and we have listened to a lot of that kind of music together. J: I have been into a lot of different genres from an early age. I have always found it fascinating to learn from different milieus – hiphop, techno, reggae, indie-rock, pop, art and so on. At the moment I think we can agree on Fleetwood Mac, Elton John and Blood Orange. You’re both based in Copenhagen, so what are some of the best things happening in the music scene there at the moment? J: There’s a pulse in Copenhagen at the moment and in general there’s a lot of very interesting things going on across different genres. It’s a very fruitful and vibrant scene and we really enjoy being a part of it. We’re very excited for you to join us at the upcoming Ja Ja Ja club night in London! What should people who are coming to the show expect from Slowes live? J: We have written some new material since we recorded the EP. We can’t wait to try it out. The idea is to make our concert feel wholesome. 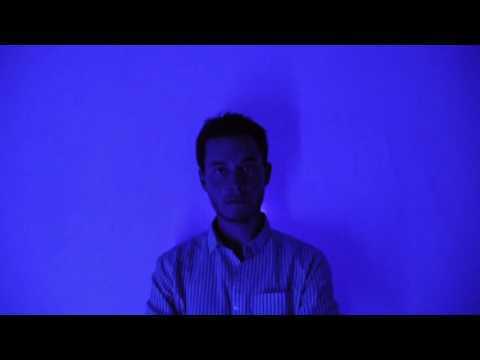 Melodic pop songs and a bit experimental. A: Yeah, our friends from Silvester, The Vice, Smerz and Chinah are all good acts. A: We’ll be playing a few concerts and other than that focus on the new material. We’ll record another EP or maybe an album. This is luckily just the beginning.